Skiing In The Shower: Don’t become a yoga instructor, everyone is doing that. Don’t become a yoga instructor, everyone is doing that. One of my friends said this to me about a year ago. He meant well. He is a very linear, logical person, who sees the big picture quite well. Jacques Cousteau. Why become a Marine Biologist? 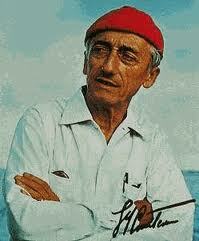 There can never be another Cousteau. But I thought about it, and turned it over in my mind for a while. He was giving me big picture “the market is flooded” kind of advice, and from that perspective, it is a comment that makes sense. But I think we can stop ourselves from having experiences when we think this way. I remember as a child, feeling like my sister was the one who was the photographer, so I shouldn’t do that, explore that. She said she wanted to shoot photographs for National Geographic. That sounded amazing to me, just like something I’d want to do. But I felt like I would be taking her dream if I also did it. What happened to being inspired? What happened to mentorships, internships, apprenticeships, where you sit at the feet of the one who did it before, and copy them exactly until you understand the whole of it? I remember when I was in third grade, I wanted to climb Mt. Everest one day. My principal had gone to Nepal and brought back images of that sacred mountain, and I wanted to climb up it. I wasn’t afraid. I wanted to make my body and my spirit strong enough to stand on the top. 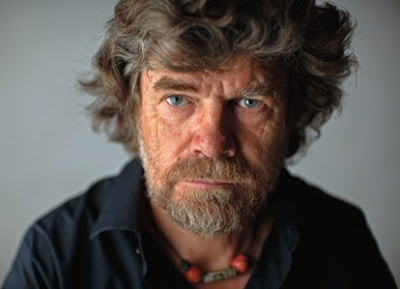 By the time I was old enough to really begin to think about it, the Scott Fisher expedition had happened. There was a huge backlash that normal people shouldn’t be climbing big mountains, that this had happened because a socialite had paid $60,000 to have her hand held up a mountain that she had no business being on. 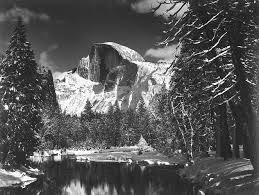 I was a member of the AMGA, I had started going religiously to meetings, I was beginning to focus and hone my climbing skills. I didn’t want to be part of the problem, part of the hoard. The fact that now “everyone could do it” meant that people shouldn’t. That all the “real” people who should already had, and everyone else was an invalid tourist. Now, I’m in Ubud, Bali which is apparently a now-famous yoga destination for the freaks and weirdos and truly dedicated as well. They filmed a movie here, Eat Pray Love, all about a woman finding herself. I havent seen it or read the book but I still chafe when people tell me my life is like the movie. 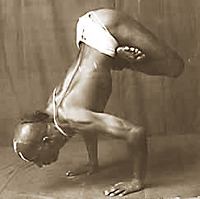 Krishnamacharya was an original. I'm not even from India, I'm a Lulu lemon lemming. How can I be unique? But really, why does it matter? If I had known about the movie, would I not have come here, because other people had come before me and it was something that was “done”? When I see that from this perspective, I think about all the incredible experiences I would have missed out on. When it was the 80s, I was really into Punk Rock. One of the lessons I learned about being associated with that group was that it was really important to be unique, different, and first. To know the new bands, to love the classics, to eschew the flash in the pan popular sell outs. We spent so much time judging and worrying about being judged in order to make sure that we were unique that we missed out on being us. Which is what is truly unique. Ansel Adams is so unique that there are filters and effects in Photoshop named after him. If you aren't going to work your magic like a real artist, and you have photoshop, you don't count, right? Why bother trying? Its been done. This moment is unique. You in this moment is unlike what anyone else has been in this moment, even if you are following in the footsteps of someone who came before you. Let go of needing to judge your worth and the value of following your passion against how others view its originality. There have always been painters. Photographers, Writers, Yoga Teachers, people who became ex-pats. The market is flooded with them. The challenge is to embrace what has come before, learn all about it, and then bring you, your unique self to what you love. Who cares if someone else did it and they made a movie? We get to do it, too. We do it on a scooter, together, my 9 year old son and I. We make our own version of bliss, with thanks to those who came before. So become a yoga teacher if you like. No one has done it before quite like you will. Not even if you copy the dialogue exactly. I fully understand what you're talking about and I agree on every bit of it. Though, as one who's love is the mountains and untouched wilderness, I feel the urge doing something no one has ever done before, and being somewhere no man has stood before. Feeling that rush when you're f.ex the first to ski that one line and not knowing what might happen, is amazing. Well written though, it was something I enjoyed reading! Thank you, Tvetto! I agree with you, the thrill of the unknown and undone is excellent. I just also believe that we can't find the unknown and the undone unless we go down the path that's been done before. For instance there are so many big mountain skiers. Doug Coombs put down so many first descents. Why should you be good enough, unique enough or special enough to do it? Because the first time you go down an easy back country drop, even one that's skied by every single local yokel, its a first descent to you. And eventually, you may find that line untouched by human feet. And the thrill belongs exclusively to you. Happy exploring! Thank you for reading! Monique, thanks for reading, I'm glad it helped! This plan subject to change. Unstick the idea that you are stuck.